Home » Events » Happy Birthday FF! On this day in history our good friends at Nintendo released the original Final Fantasy video game for its Nintendo Entertainment System in North America. To this day it is still one of the most successful role-playing games for the NES! 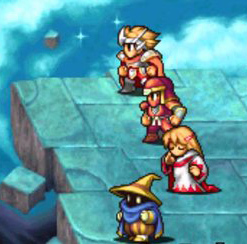 Final Fantasy helped to popularize the genre and has gone on to spawn one of the most well-known RPG franchises in history. Ironically, the game’s creator, Hironobu Sakaguchi, thought the game would be his last one, hence the “final” in Final Fantasy. Had the game not sold well, he would have quit making games and gone back to college. ← Your Eyes Need This!